We're halfway through peeks of My Favorite Things May Release! All new products will go on sale Tuesday, May 8th at 9PM EST. 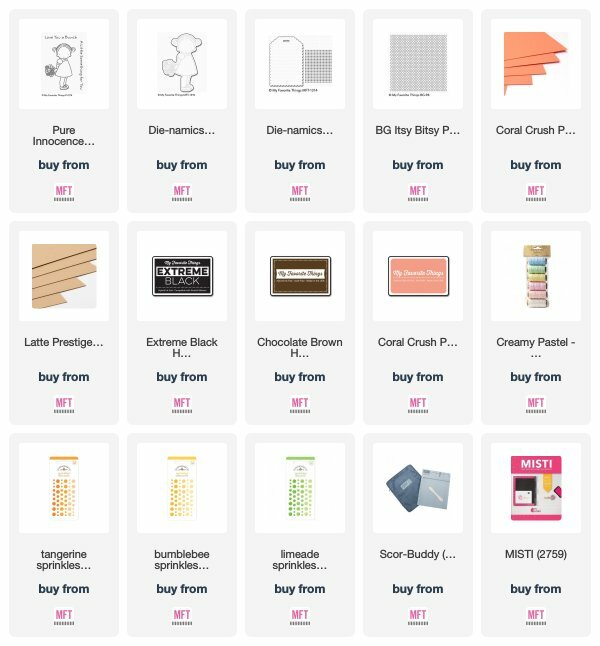 perfect for Mother's Day cards and projects. I stamped her, colored her with Copics and cut her out with the matching Die-namics. and I decided to cut out the holes even though I wasn't doing any stitching. girl and finished off with some enamel dots. to win a $75 prize. Thanks so much for stopping by today! Love this card! Love your color choice! 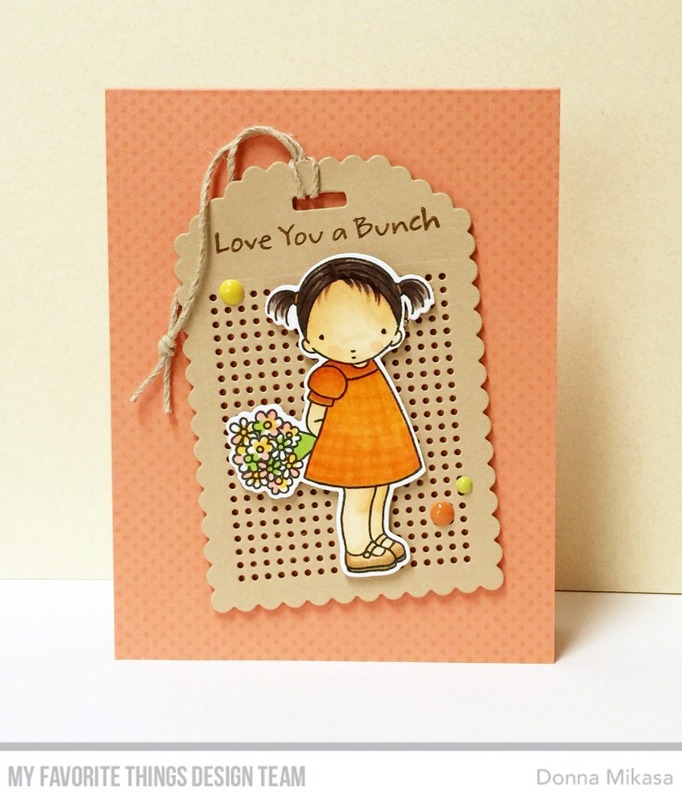 Awesome card, I love this tag die! That cross-stitch tag set is the bomb! LOVE! this card is so pretty, super adorable!